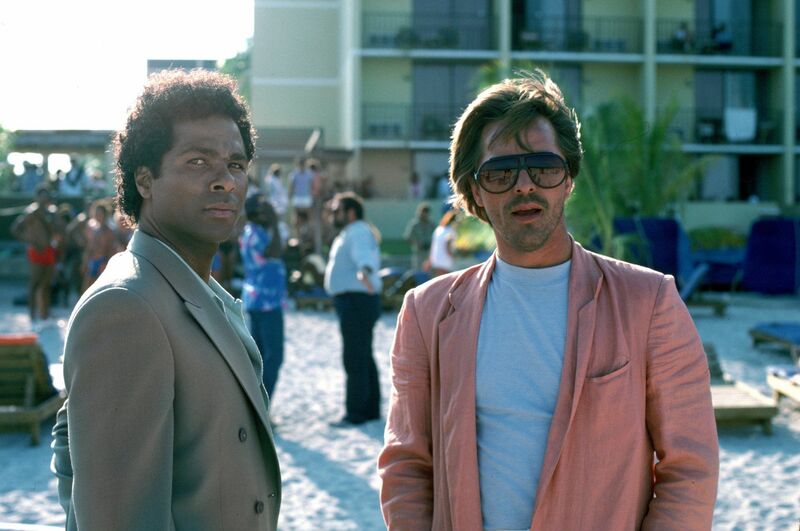 Sunglasses have become much more than a basic through the years. All the big fashion companies develop eye-wear collections with the same dedication, quality and design as clothes and accessories. A day-to-day accessory, a personal mark and a style touch that has accompanied fashion from its beginnings and is an absolute must today. The first sunglasses in History were created by the artic culture to protect their eyes from the snow more than a thousand years ago, but their golden age came in the early XXc with the magic of Hollywood. Sunglasses become a trend, not just as a way to protect your eyes from harmful sun rays, but as an accessory in your outfit. 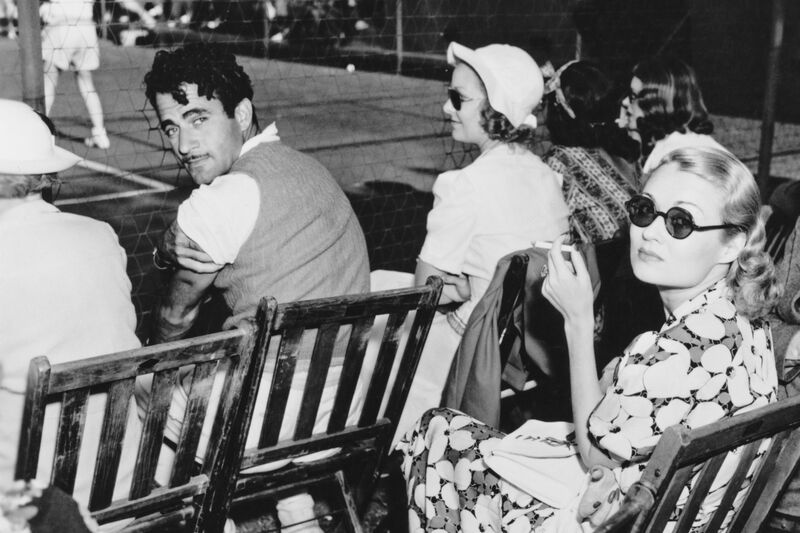 An accessory that represented personality, style and exclusiveness of Hollywood’s Golden Age. Sam Foster, in one of the first shootings where the actors began to wear sunglasses to protect their eyes from the long days of filming. Sunglasses are also a hallmark; a personal mark of the great icons of the fashion, movie or culture worlds. 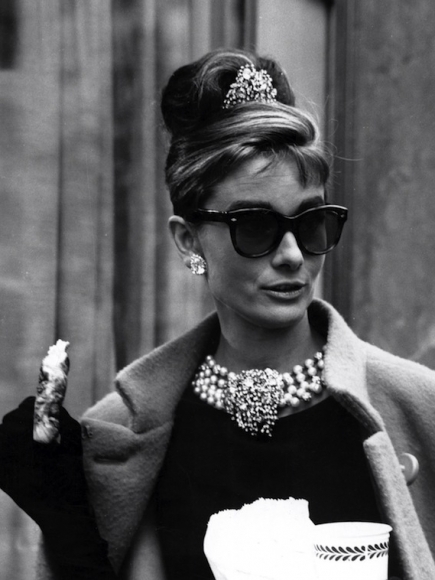 Steve McQueen, Audrey Hepburn, Marlon Brando, Yves Saint Laurent and Jackie Kennedy are some of the personalities that made their sunglasses a part of their trademark, a trend, an object of desire affordible only by a few. Jackie Kennedy is still today one of the biggest references in fashion. Instead of the sobriety of her predecessors, she set a trend in her time and imposed luxury and european design as a symbol. Her huge sunglasses and scarves will forever be trades of her identity. Robert Redford set trend, too, and became one of the most desired men of his time behind a pair of aviator Ray-Ban, in the movie 3 Days of the Condor, by Sydney Pollack (1975). Possibly, the most recognisable glasses in the XXc. Catherine Deneuve in “Belle de Jour” created, along with Luis Buñuel, a unique character. A powerful woman, stylish and magnetic, full of mystery behind her magnified sunglasses. Marcello Mastroianni made the perfect italian alliance, putting together dark shades and tailored suits. He was one of the most influential italian actors in the XXc, in terms of fashion, and he enshrined the dandy style. Don Johnson made an icon of the Carrera, a model that pays homage to the legendary rally competition the Carrera Panamericana. In the 80s, the notorious stylist Milena Canonero revolutionised the fashion world with light dresses, printed chemises, wide flaps and these sunglasses, which are still one of the most sought-after designs of the brand. Steve McQueen and his Person 714 became a turning point in The Thomas Crown affair, a movie that featured the best stylists of its time. 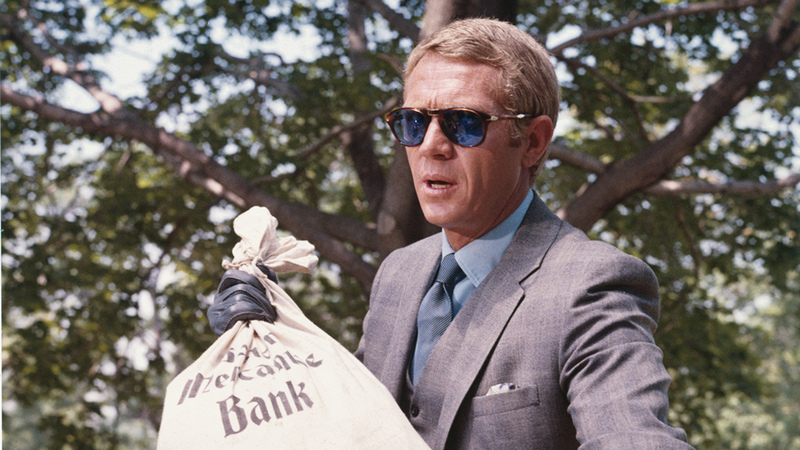 Today, Steve McQueen is an icon of the Golden Age. Oliver Peoples, a passion for high-end sunglasses. Oliver Peoples is one of the biggest brands in international design eye-wear. Its exclusive pieces have made of this brand a world-wide reference. All the lenses out of this company have been through a rigorous control to guarantee flawlessness in each single piece. They have developed some of the best lenses in the world, such as photochromic glass, that clear or darken depending on the sunlight. Or polarized glass, that eliminates reflection and optimizes visual clarity. After years of experience, Oliver Peoples is still setting trend when it comes to high-end sunglasses design, using the best materials for their designs and with a careful eye for detail. Timeless designs, cutting-edge tech, exquisite attention, completely customised pieces and international experience have brewed an iconic brand that leads the market of design sunglasses.